Vintage U.S. Navy Belt Buckle! 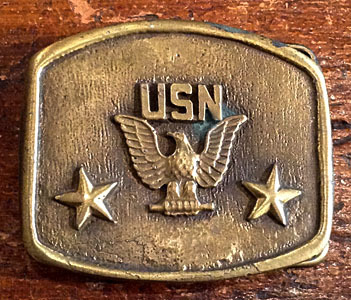 Brassy finish with the initials "USN" above a Bald Eagle with its wings outstretched and stars on either side. For the bold seafarer within you. 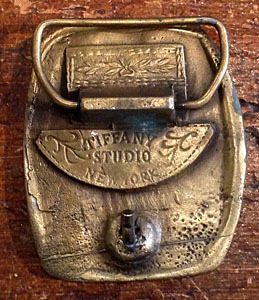 Text reads Tiffany Studio New York on the back. Condition: Very Good: Some patina spots.